ROUSH CleanTech has developed an extended range propane autogas fuel tank for the Ford E-450 chassis. Transit agencies will extend the range of their fleets with the tank. ROUSH CleanTech has developed an extended range propane autogas fuel tank for the Ford E-450 chassis. The tank enables passenger transit agencies to make fewer trips to the pump for refills. With 64 usable gallons of propane autogas, the new tank holds 56 percent more fuel than the standard 41-usable-gallon tank option. The fuel tank gives fleet operators the longest driving range for this Ford model. Built on Ford’s 6.8-liter V10 engine, the Ford E-450 with extended range fuel system comes with an extended 5-year, 100,000-mile warranty exclusively for the transit industry. The Flint, Mich., Mass Transportation Authority has put 101 standard range tank E-450s into its fleet since 2011. The transit agency, which pays 75 cents per gallon for propane, saves about $70,000 per vehicle in fuel and maintenance during their normal lifecycle of 10 years and 350,000 miles, compared to conventionally fueled counterparts. The Greater Cleveland Regional Transit Authority recouped its investment of 20 Ford E-450 propane autogas-fueled shuttles and is now saving $21,000 in total operating costs. Livonia, Mich.-based ROUSH CleanTech expects most customers will purchase the new larger-sized tank since it provides more range in addition to higher fuel cost savings. In a news release, the company states that, historically, propane autogas costs up to 40 percent less than gasoline and 50 percent less than diesel. According to the company, each of the extended range shuttles will emit about 91,000 fewer pounds of carbon dioxide over its lifetime compared to conventionally fueled counterparts. ROUSH CleanTech Ford E-450s are California Air Resources Board and Environmental Protection Agency-compliant and have completed Federal Transit Administration’s (FTA) New Model Bus Testing Program (“Altoona Testing”). 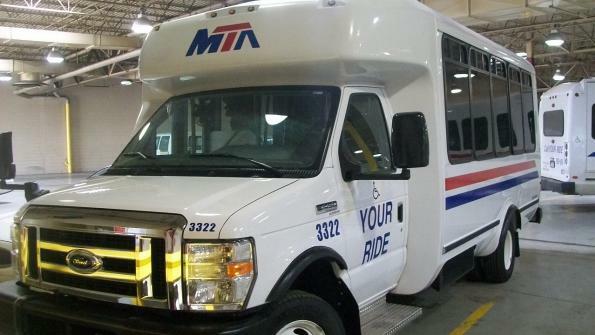 Altoona-tested vehicles can be purchased using a transit agency’s FTA funds.